3 Paddy Irish 11:10	 M Heineken Didn't know his cans were twist off, almost needed stitches. 5 Maya 12:02	 F 24 Company First beermile, first and only women across the line, hated life. 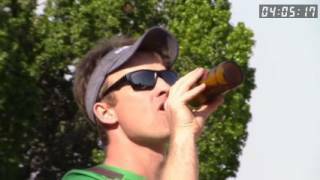 First ever Victoria Beermile organized by Manitobans.